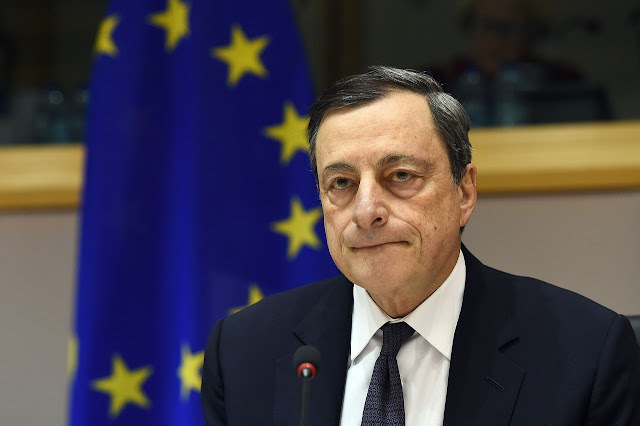 FRANKFURT – The European Central Bank is under heavy attack in Germany, a country that has long prided itself on defending the principle of central-bank independence. Indeed, it was Germany that pushed for this principle’s inclusion among the criteria set out in the Maastricht Treaty, which established the conditions for membership in Europe’s monetary union. For many EMU members, making their central banks independent in order to join the euro meant a change in political regime. For example, in France’s 1992 referendum to ratify the Maastricht Treaty, the prospective autonomy of the French central bank was one of the strongest points in the campaign against adopting the euro. By contrast, in today’s Germany, putting pressure on the central bank has become standard practice. For a couple of months now, even Finance Minister Wolfgang Schäuble has been commenting regularly on the ECB’s monetary policy. Schäuble’s interventions touch the core of central-bank independence. While he is not seeking to redefine the objective of monetary policy (the “price norm,” to use the old Bundesbank lingo), he is making suggestions on which tools the ECB should wield, and how it should wield them, in order to achieve that goal. It happened before. In 1998, Germany’s then-finance minister, Oskar Lafontaine, gave good advice to the ECB’s first president, Wim Duisenberg, on how to conduct monetary policy. Respecting monetary-policy independence has long been a core plank of Germany’s Stabilitätskultur (stability culture). The foundation stone for the Bundesbank’s sternly independent reputation was its repudiation of Chancellor Konrad Adenauer’s calls to refrain from raising interest rates in 1956. France, at that time, was different. Charles De Gaulle was about to create the very presidential Fifth Republic, with the Banque de France reporting to the finance ministry. But that was then. 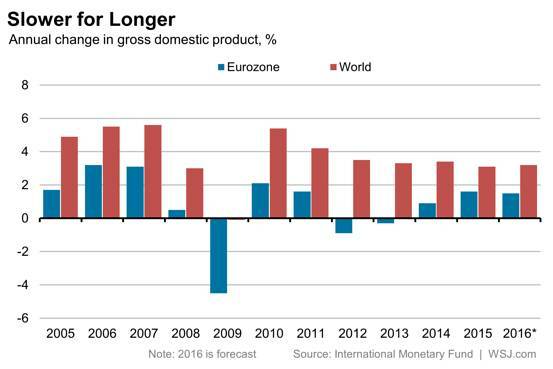 In the wake of EMU’s varied crises, monetary policy is being drawn increasingly into substituting for fiscal policy. Is the old dogma outdated? Europe remains very vulnerable; the EMU’s median citizen has already lost a decade, and the distance to distress is worryingly low. The United States, however, is doing better. Cumbersome political gridlock notwithstanding, it managed to address the macro problem it faced (a lack of aggregate demand) by implementing expansionary fiscal and monetary policies. But the ECB’s independence is less threatened by good advice from finance ministries, as problematic as this might be, than it is by a lack of popular support. Indeed, the Bundesbank’s famous autonomy rested less on its legal status than on the unwavering (performance-based) support it enjoyed from the German public. The ECB is experiencing exactly the opposite. There are public calls, especially in Germany, to put additional pressure on it. But the biggest threat to the ECB’s autonomy stems from the unsustainable burden placed upon it. The less fiscal policy does to stabilize output, the more central banks are de facto strong-armed to carry the load (unless, of course, they are prepared to let nature take its course, by allowing the economy to get stuck in stagnation, or worse). The political upshot of this pattern has been a significant regression toward nationalism, of the left and the right, in all EMU countries, including Germany. Indeed, the rise of nationalism is an almost logical corollary of the policies pursued. It is endogenous. And here, too, Germany is leading the charge with its obsession about achieving a schwarze Null, a balanced budget, come hell or high water. In Germany, deficits are widely viewed as morally, not only arithmetically, negative, even though this flies in the face of conventional economic reasoning and sound corporate practice. In the late nineteenth century, leading German public-finance scholars, including Albert Schäffle and Adolph Wagner, developed a “golden rule,” according to which current expenditures should be funded, on average, out of current revenues. Public expenditures, and the resources needed for them, should be justified by their usefulness. This also meant that productivity-enhancing investments – capital expenditures – could be funded with debt, which would be serviced by growing income and its associated revenue base. This classical line of thought was institutionalized by a useful concept: the distinction between current expenditures and the capital account, still in use at the municipal level in Germany (and Austria). That is crucial, because about 50% of Germany’s public-sector capital expenditures are run at this level (down from almost two-thirds in the early 1990s). These expenditures are pertinent in terms of supporting the competitiveness of Germany’s mittelstand firms. But relative to the early 1990s and in constant prices, capital expenditures are down some 15%. For more than a decade now, they have not sufficed to maintain the capital stock. This is not preparing for the future; it is undermining productivity and well-being. In short, the schwarze Null fetish is self-defeating. Crumbling infrastructure (admittedly not as bad in the US) has become a real issue in Germany. Moreover, Germany’s leaders’ fiscal frugality entails cross-border spillover effects that are amplified in a monetary union, where there is no exchange rate to accommodate for national idiosyncrasies. To be sure, Europe’s monetary union is imperfect. But scapegoating the one institution that is “doing whatever it takes” to get the EMU back on track is ill-advised. A much better strategy would be for governments to use fiscal space, where it exists, to relieve the pressure on the ECB. Such space is certainly available in Germany. Eight years after the Great Recession, the top eight “systemically important, domestic banking institutions” in the U.S. are still not ready to cope with the aftermath of another financial crisis. The banks had been asked to submit plans to show how, if crisis struck, they would wind up in an orderly manner that does not necessitate government bailouts or cause panic in the financial system. That was the upshot of findings jointly released on April 13 by the U.S. Federal Reserve and the Federal Deposit Insurance Corporation (FDIC). The two agencies found the resolution plans – called “living wills” — filed by five banks as “not credible.” They differed on the readiness of two other banks. They did not fault the credibility of the plans of the eighth bank, but nevertheless found shortcomings that need fixing. More broadly, the findings underline a transformation underway in financial regulation to make it more stringent and probing than ever before, according to experts at Wharton and the University of Michigan. However, sustained advocacy is required to combat efforts by politically backed interest groups to undermine bank supervision and consumer protection, they said. The findings of the regulators are in line with the 2010 Dodd-Frank Wall Street Reform and Consumer Protection Act, which requires banks to submit plans to facilitate an orderly resolution under the U.S. Bankruptcy Code. “Dodd-Frank is creating a radical transformation in the way that we do bank supervision, which had been a stable set of institutional arrangements for about 150 years since federal bank examination began after the Civil War,” said Wharton professor of legal studies and business ethics Peter Conti-Brown. He recently authored the book The Power and Independence of the Federal Reserve. The way Dodd-Frank is panning out challenges critics “who see regulators — the Federal Reserve and the FDIC — as ‘captured,’” said Conti-Brown. “Regulatory capture” is a term used in academia and the popular press to suggest that regulators are unduly influenced by the interests of the entities they regulate. “There is, across the board, more stringent supervision with much more probing questions [than in earlier times],” said Michael S. Barr, professor of law at University of Michigan Law School. Barr formerly served in the U.S. Treasury department where he was assistant secretary for financial institutions; he was also a key architect of the Dodd-Frank Act. Dodd-Frank came about in the wake of the Great Recession, which was caused by the financial sector crisis of 2007-2008 and the subprime mortgage housing crisis of 2007-2009. The recession necessitated a massive bailout of banks under the government’s Troubled Asset Relief Program (TARP). The TARP bailout had 956 entities receiving a total of $431 billion, according to a study by the investigative journalism group ProPublica. Dodd-Frank sought to prevent the recurrence of similar bailouts of so-called “too big to fail” banks by requiring them to periodically submit plans that show how they could wind down their operations under normal bankruptcy laws without creating a panic in the financial system or requiring a government bailout. The banks whose 2015 resolution plans were found to be “not credible or would not facilitate an orderly resolution” are Bank of America, Bank of New York Mellon, JP Morgan Chase, State Street and Wells Fargo. In the case of Goldman Sachs and Morgan Stanley, either the FDIC or the Federal Reserve found their plans not credible enough. Neither agency found Citigroup’s resolution plan as “not credible or would not facilitate an orderly resolution” under bankruptcy laws, but they did find shortcomings for the bank to fix. “All eight of the firms have to go back to the drawing board,” said Barr. He clarified that in determining the credibility of the living wills, the Federal Reserve and the FDIC have not suggested that these firms will have to be bailed out or that these firms are close to liquidation. Conti-Brown disagreed with critics who suspect that the regulators’ findings are a validation of the theory that the eight banks are too big to fail, and that a fresh financial crisis would see a repeat of TARP. He explained that in the event of a crisis, Dodd-Frank’s creation of the Orderly Liquidation Authority (OLA) would serve as “a backstop” if conventional bankruptcy processes do not work for troubled banks. That liquidation authority also has several mechanisms to ensure that wholesale government bailouts will not be required, he added. Each financial institution cited for shortcomings in their plans must “remediate its deficiencies” by October 1, 2016, the regulators have said. Failure to do so could attract higher capital requirements and restrictions on growth or activities, they warned. The deadline for the next full plan submission for all eight financial institutions is July 1, 2017. The Dodd-Frank regime has already delivered on some fronts, according to Barr. He maintained that the financial sector is “a lot safer today” than it was at the height of the financial crisis in 2008. “[We have] double the amount of common equity in the system, cushion against lawsuits and supervision of the largest firms by the [Federal Reserve] and an Orderly Liquidation Authority so that those firms can be wound down in the event of a financial crisis without creating a panic and without having a taxpayer bailout,” he said. However, “there is still a lot of work to be done to make sure that they can be dealt with in a financial crisis,” as revealed by the report of the regulators, he added. Guarding against that “collective amnesia” is critical to ensure the strength and safety of the financial system, Barr said. While living wills and stress tests are one way of achieving that, it is also necessary to get the general public to focus on risks in the financial system, without leaving that job to the industry and regulators, he added. He pointed to recent positive steps, such as the creation under Dodd-Frank of the Office of Financial Research to gain an independent view of the risk in the financial system. 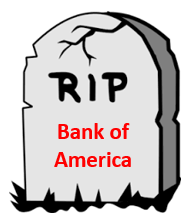 - I was asked "is this slowly the death of Bank of America? - This was a serious inquiry stemming from the just reported Q1 earnings. - I discuss the results and what we need to look for out of the company. Let's cut right to the chase. This morning, I was asked, and I quote, "is this slowly the death of Bank of America (NYSE:BAC)?" I had to check my calendar. Is this spring 2009? Did I get stuck in a time warp? If I did not know this individual very well, I would have thought this was a joke. But this was a serious inquiry? Was I missing something? I mean, I had just recently described the company's prospects for 2016. I don't recall predicting I would be eulogizing the company. I mean come on, we know it is one of the largest banks in the United States by assets and yes, it truly has recovered from the Great Recession. Is it firing on all cylinders like it was pre-recession? Certainly not. The stock has ebbed and flowed but it has come back from the brink. Barring another recessionary period, the bank is set up to do well in the coming years especially in light of the pending interest rate hike by the Fed. I will say plainly that I am behind Bank of America long-term. I think it is set for growth and in turn, the stock should provide decent returns. But to ensure this is still the case we need to determine where the company may be heading from a performance point of view. Thus, we do have to do two things. First, examine the company's most recent earnings and key metrics. Second, we have to understand the outlook for the bank, honing in on strengths and weaknesses. It is my guess that the original inquiry stems for this morning's earnings announcement. At the risk of sounding like a broken record, I will reiterate that the way I look at a bank may be different from other opinion makers at Seeking Alpha. Let me be clear. I care most about a growing loan and deposit record, a respectable efficiency ratio, as well as of course revenues and earnings. But on top of that, we also need a sense of toxic or non-performing assets. These metrics can give us an indication of where the bank is heading, and can help us separate the best and the worst of the sector. Now look, Bank of America is massive and while it is true that it will benefit from rising rates, slow and steady growth is most desirable from a bank of this size. So with that in mind, just how is the company doing? Let me be clear, it is not dying. It might not exactly be doing superbly, but let's be realistic. In the most recent quarter, the bank saw a top line miss against analyst estimates. However, it squeezed out a bottom-line number that met analyst estimates. The quarter was pretty 'meh' overall, but versus last year there was pain. Revenue was $19.7 billion, down 8% year-over-year. That hurts, but is not a death blow. I want to point out that if we back out market-related net interest income adjustments, then revenue was $20.9 billion, though this is still down on the same versus the $21.6 billion. Revenue was down year-over-year and it was a miss of $600 million. Now look. The company saw a dip on the earnings front versus last year's comparable quarter seeing net income decline 13% to $2.7 billion or $0.21 per share. Last year, the company saw earnings per share of $0.25. I will point out that this was again in line with expectations. In line. Of course, the headline numbers only tell part of the story, so what drove these results? The answer lies in the bank's net interest income and non-interest income, two of the biggest sources of cash for the company. Net interest income rose year-over-year, when adjusted. So how much higher was net interest income in Q1 2016 versus Q1 2015? Well on an unadjusted basis, it rose to $9.4 billion last year. However, on an adjusted basis, net interest income was $10.6 billion up nicely from the $10.1 billion in Q1 2015. 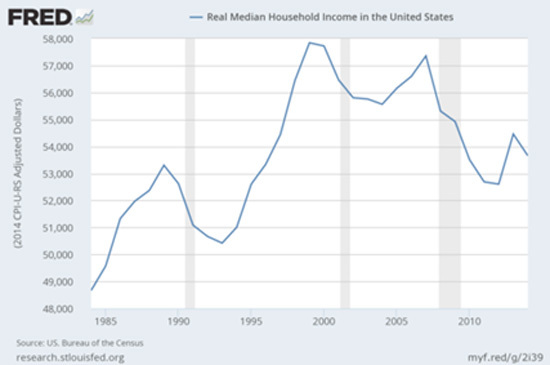 Non-interest income was down heavily year-over-year. It came in at $10.3 billion. This is down versus the $11.5 billion last year. Sadly, total mortgage production was $16.4 billion down from $16.9 billion last year. On a positive note, another 1.2 million credit cards were issued, which bodes well for future potential interest income as well as fees generated from the card. One of the most under-appreciated, yet critical metric to look at, is the efficiency ratio. But for whatever reason, still so many opinion makers ignore it. That is a mistake in my opinion. I will remind you that the efficiency ratio measures the costs expended to generate a dollar of revenue. The efficiency ratio has been very weak for the company for the last few years. That said, the company has really started to turn it around. It came in at 73%, which is so-so. The key here is that it has improved from the 77% in Q1 2015. Recall that for all of 2015, it came in at 68.6% compared to 88.3% in 2014. I will be watching this year to see if the ratio creeps down under 68%. The year-over-year move is strong but there is still work to be done. Recall that the stronger banks have an efficiency ratio under 60% with the ideal being around 50%. Why did the efficiency ratio improve? Well, it was due in part to the decline in expenses and a positive impact from its cost savings initiatives that it put into place last year. Now, any bank worth its salt sees improvements in loan and deposits. That is simple banking. That said, we need to see loan and deposit growth. On this front, the bank is doing well. Loans were up across the board, rising $28.4 billion to $901.1 billion. Total average deposits were up $64.1 billion to $1.2 trillion in Q1 2016. Finally, we need to be aware of non-performing assets. I was pleased to see that non-performing loans decreased to $9.23 billion down from almost $12.1 billion in Q1 2015 and is down almost $600 million from the $9.84 billion in non-performing loans as of Q4 2015. All things considered, the fundamentals are intact. The company is not dying. I will note that there was new shares issued and that may rub some the wrong way. With interest rates rising, it can only help net interest income longer-term. The largest banks stand to gain. Sure companies short-term are interest rate sensitive. But as rates rise, it helps the banks. Compared to say 5 years ago, the improvement has been quite drastic. But investor memories can be short. This quarter left a lot to be desired. I think the stand out metric is the improving efficiency ratio, which I will be watching very closely this year. Further, both loans and deposits continue to grow. The declining non-performing assets this year is also a key result. Of course, we want to see revenues higher. Consistent revenue misses are not going to work. The reality though is that the bank is coming off of its best year for earnings since the Great Recession. I maintain a buy rating on Bank of America for the long-term. That didn’t take long. No sooner had President Mario Draghi unveiled the European Central Bank’s latest easing effort after March’s policy meeting than he was asked about helicopter money. Expect more of the same this week. In the short term, markets will be looking Thursday for more detail on the ECB’s planned corporate-bond purchases. Issuance has picked up and the spread between corporate and government bond yields has narrowed, but key questions on the size and composition of the program remain unanswered. Longer term, the focus is likely to be on further ECB options, including helicopter money—essentially, direct injections of cash into the economy by the central bank. The prospect is a remote and radical one for now; the debate is theoretical, not practical. But that the discussion is even taking place is noteworthy. It marks dissatisfaction with the sluggish nature of the economy and its recovery since the crisis. Policies that aimed to prop up the financial system and buy time by providing continuous liquidity support haven’t produced the kind of recovery that would generate confidence. The ECB faces a particular problem in the criticism coming from Germany, amid warnings that monetary policy has hit its limits. It would be risky for a central bank to agree with that idea. Even a hint in March that interest rates had gone as low as they could generated turmoil in markets. Signals that monetary policy still has room for maneuver have value. The notion of helicopter money is enticing in an environment in which more liquidity and lower rates offer diminishing returns, and fiscal policy is politically taboo. In its most radical form, the central bank would distribute cash directly to the population, without taking any matching asset on its balance sheet. One way to think of this is as similar to an injection of fresh equity—a way to repair stretched finances. There would be no upfront debt for governments to take on as a result. The cost would instead be borne over time from future income generated by the central bank. That relies on the assumption that a central bank, unlike commercial banks and companies, can run with a hole in its balance sheet because it can create money. The hope would be one of greater spending today, or if consumers pay down debt, expectations of greater activity tomorrow. Inflation expectations would be likely to rise. Or so the thinking goes. Helicopter money’s seductive nature is also reason to mistrust it: there is no free lunch. Politically, it would introduce fresh tensions into a eurozone already riddled by them. Logistically, it could prove tricky. And it could induce fresh inertia on economic reform. For the foreseeable future, the ECB will almost certainly stick with its calls for governments to do their bit to get the eurozone economy up to speed. So long as they are recalcitrant, though, the question of whether central bankers will have to do more won’t go away. My college-aged kids love him. I’m not talking about Stephen Curry or Justin Bieber (although they love them too); I’m talking about Bernie Sanders. Whether you support him or not, my guess is that most Americans my age are very surprised about his popularity. I also guess that Sanders’ popularity is based on the economic stress many Americans are feeling. 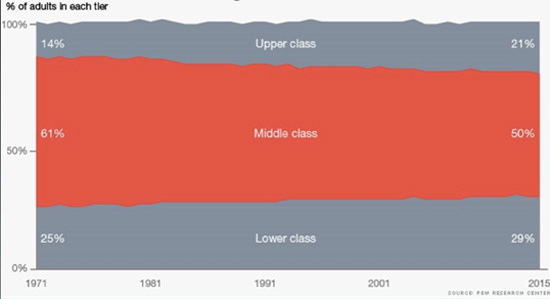 The chart below captures the essence of one of the biggest problems facing our next president: a shrinking middle class and a growing lower class. Sadly, roughly 50 million Americans live below the poverty line—the largest number in our nation’s history—and the poorest 40% of all Americans now spend more than 50% of their incomes just on food and housing. 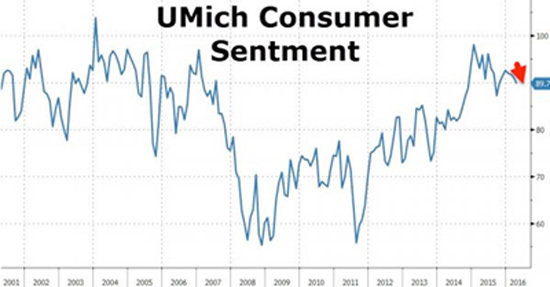 No wonder that consumer sentiment has been sinking fast, which is a very troubling sign for our consumer-driven economy. 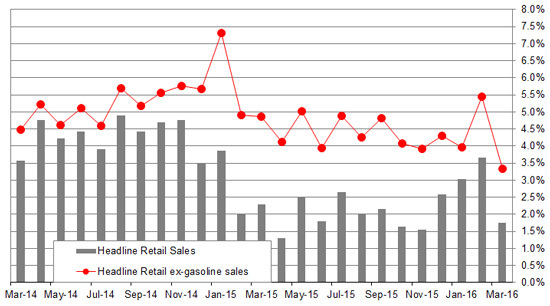 That consumer angst translates into slowing spending. The Commerce Department reported that retail sales dropped by 0.3% in March, well below the +0.1% gain Wall Street was expecting. The biggest drop was on auto spending, which was down 2.1%, but one of the weakest sectors were restaurants. I suspect the root of the issue is wages… or lack thereof. The reality is that wages—despite the recent minimum wage increase in several states—have been shrinking on an inflation-adjusted basis. 39% of American workers make less than $20,000 a year. 52% of American workers make less than $30,000 a year. 63% of American workers make less than $40,000 a year. 72% of American workers make less than $50,000 a year. And it doesn’t help that Americans continue to rack up debt. Example: Outstanding auto loans have hit more than a trillion dollars, with an average balance of $12,000 per person that consumes nearly 8% of the average borrower’s disposable income! No wonder that an estimated 62% of Americans are living paycheck to paycheck. And all of us—low, medium, and high income combined—are working longer than ever to pay a growing tax bill. According to the nonpartisan Tax Foundation, tax freedom day, the day when the nation as a whole has earned enough to pay the state and federal tax bill for the year, arrived on April 24. That means all the money we made in the first 114 days of 2016 went to taxes. So… what do you think all this American angst means for the stock market? Of course, the Wall Street crowd is more concerned about every syllable that comes out of Janet Yellen’s mouth than any economic or corporate statistic. However, the stock market is butting up against a very serious ceiling of resistance that I believe will limit—if not wipe out—any gains. Nervous Nellie Strategy #1: Load up on dividend-paying stocks with a generous yield. In this topsy-turvy world of ZIRP (zero interest rate policy) and NIRP (negative interest rate policy), stocks that pay out decent-size, sustainable dividends will be among the few that will hold their value. Nervous Nellie Strategy #2: Raise cash; lots of it. Of course, cash pays almost nothing thanks to our hallucinating central bankers, but zero will be your hero when things turn ugly. Nervous Nellie Strategy #3: If you have some capital you can afford to speculate with, you should consider taking out some portfolio insurance with inverse ETFs and/or put options. In reality, you probably need a combination of all three of the above strategies, because the recent good times aren’t going to last.